With the arrival of Spring time, contrasting weather patterns, moving from cold to warmer weather, sets up a battle that produces severe weather across the southern part of the United States. Thursday, March 14, 2019 will be no exception. 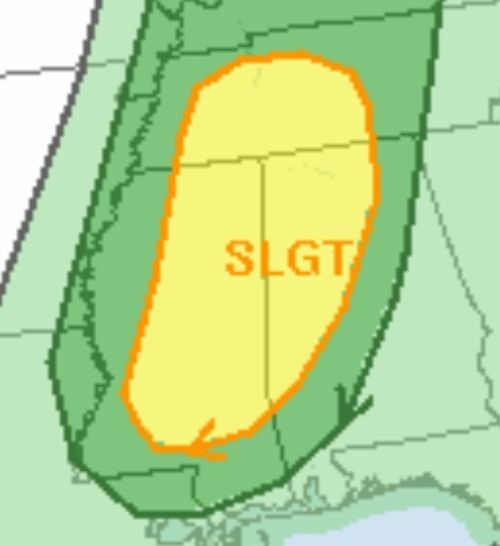 The Storm Prediction Center, in Norman, OK., already has a large area, of the South, under a “Slight Risk” for Severe Weather on Thursday. Right now, this includes parts of Alabama, Mississippi, and Tennessee. A strong low pressure will be pushing through the central part of the United States on Thursday. Dewpoints are forecast to be reaching the mid-to-upper 60s as far north as western and middle TN through Thursday afternoon. Although, at this time, only weak instability is expected on Thursday, wind shear will continue to be impressive and may allow some storms to reach severe limits. The surface low and midlevel trough are forecast to lift off to the northeast on Thursday and Thursday night. 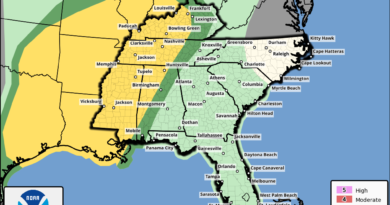 As a result, a threat for isolated to widely scattered strong to severe thunderstorms will exist across the warm sector on Thursday (the area outlined for severe weather). 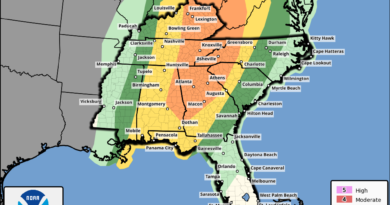 Forecast soundings indicate the potential for Damaging winds and Tornadoes this Thursday, March 14, 2019. Models and forecast, can and do change, so keep up to date with the latest developments for this Thursday. Stay weather alert, if you live in the outlined areas. This is Spring time, make sure you have a reliable way to receive severe weather information.